Wedding Band Options for the Groom-To-Be. Men's wedding bands are often overlooked when it comes to design possibilities. Wedding bands always feel like a breath of fresh air after the engagement ring design process which can be meticulous and time consuming. As with women’s bands, a men’s band also many variations in terms of size, width, styling and metal color. You should find one that suits your lifestyle, your hand size and matches in color to your everyday watch accessory. Your Ring Size: Ring sizing for men is essentially the same process for men as women, and it can vary by the thickness of the band you will need to accommodate. We always recommend getting your left-hand ring finger sized prior to ordering, either at Lauren B. or your local jewelry professional. Keep in mind the ring should fit relatively snug to avoid it from moving around too much or even worse falling off. The more secure it is on your finger, the more comfortable it will be for everyday wear. Band Width: For slimmer designs, we recommend a band of about 2 to 3mm. However, these tend to be less popular as they can appear delicate in size on commonly larger hands of men. The most common band width is in the 4mm to 5mm range, which suits any classic style but is also wide enough to show detail in a more intricately designed ring. Finally, most larger sizes we offer are between 6mm to 8mm. These display the design/detailing very distinctively without being uncomfortably bulky on larger hands. Of course, any client can opt for any band width. However, it is important to keep in mind how much bulk you are comfortable wearing on an everyday basis. Most clients are partial to more discreet options. Metal Color: The most common choices of metal for men’s bands are platinum, white gold and yellow gold. 14K gold of any color remains a tad shinier but note that 14K white gold becomes warmer with wear. Platinum is well known for its finish and develops a patina that most know and love. Another, more overlooked option is two-tone; consider a two-tone band featuring your favorite gold colors side by side. You can also have one color in a satin finish and the other in a hi-shine finish for a customized look. This is a great idea if you like to change your watch colors often and don't want to be tied down to one metal. The last option would be a black rhodium finish for a stark appearance. Flat vs. Round Band: The most classic wedding band is a round, comfort fit shape which sits snug on the finger and has a low profile. Switching to a flat edge band is great for those who want their wedding band to sit a little higher on the finger- thus making it more noticeable by giving it a geometric and angular look. Matte/Satin Finish: Any men's wedding bands can be made in with a satin or matte finish which makes it look subtler, and of course less shiny. If you love that worn in look, opt for a matte finish which is a common choice among future grooms. Add Diamonds + Sapphires: There are a handful of ways to incorporate diamonds into your wedding band. 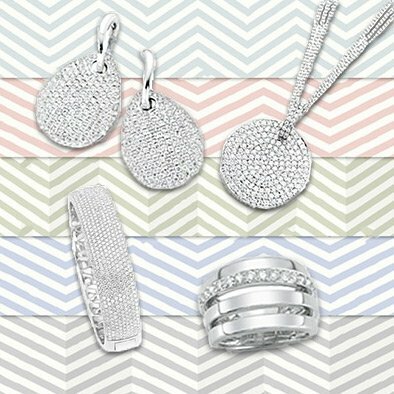 Whether you want a couple of them thrown in a single row, multi row or just add a touch of diamonds throughout. 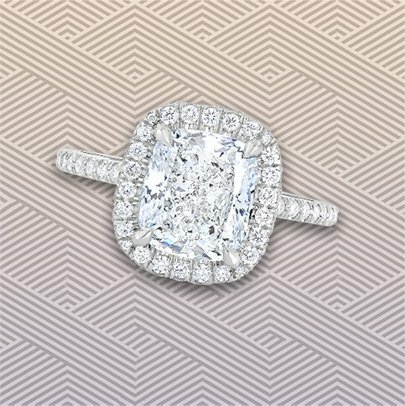 Round brilliant diamonds show the most brilliance and sparkle. They draw the perfect amount of attention to any band. 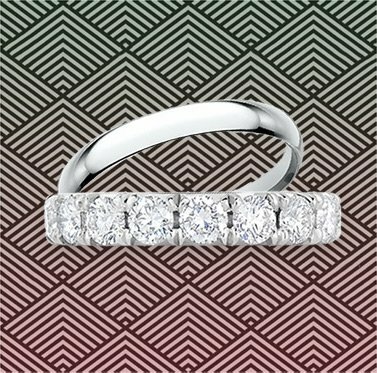 Some of our clients prefer a wedding band that feels dressed up for those special occasions. Sapphires are still faceted to give sparkle but come in a variety of different colors. For something edgy, consider black diamonds set in your band. Texture: An etched design can be added to the surface of the entire wedding band or just in the center. There are a wide variety of etched designs such as milgraining, beveled edges, hatch patterns, and more.